The Bully Zero Australia Foundation was founded in 2012, in response to the ongoing tragic stories and unfortunate deaths related to bullying around the country. 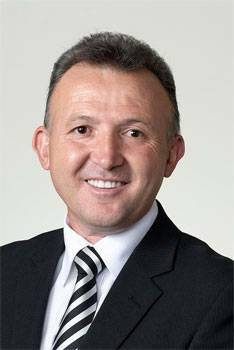 Formed by passionate families of bullying victims, senior members of the police force, volunteers, psychologists, lawyers, teachers, politicians and professionals from various backgrounds, the foundation is led by former Melbourne Mayor/Current Councillor of the City of Moreland, Oscar Yildiz JP. The vision of Bully Zero Australia Foundation is to protect and empower Australians to live fulfilling lives free from all forms of bullying. Evidence based bullying prevention programs to primary/secondary students, teachers and parents nationally. They also provide bullying prevention programs to sporting clubs, community groups and organisations. All programs are customised and tailored to the specific needs of the audience. Teachers are all university qualified and experienced in the delivery of programs and workshops. Bully Zero Australia Foundation is a certified provider of cyber safety programs by the Office of the Children's eSafety Commissioner. Workplace programs - providing expert advice, guidance and deliver to your workers in your workplace. Question: What is Bully Zero Australia Foundation (BZAF)? Oscar Yildiz JP: Bully Zero Australia Foundation is a not-for-profit charity with DGR status and is one of the fastest growing charites in Australia. Bully Zero is a certified provider of cyber safety programs nationally by the Office of the Children's eSafety Commissioner, a preferred provider of workplace bullying prevention programs by WorkSafe and is highly recommended by schools, sporting clubs and community groups. Bully Zero is also one of the only organisations in Australia that continues to deliver the cyber safety/radicalisation prevention program nationally to schools and community groups. Bully Zero Australia Foundation members are passionate about establishing a zero-tolerance culture of bullying and are committed to working tirelessly to empower, educate and prevent all forms of bullying on a national scale. Question: Why was Bully Zero Australia Foundation founded? Oscar Yildiz JP: A month doesn't pass where we don't see the loss of life to bullying in Australia. There are many stories of teenagers and adults who tragically end their lives after enduring unbearable, persistent and callous bullying either through their school, workplace, sporting club, community group or through social media. In response, a group of passionate individuals consisting of families of bullying victims, senior members of the police force, volunteers, psychologists, lawyers, teachers, politicians and professionals from various backgrounds established a Foundation like no other. That was in April 2012. Question: How does Bully Zero Australia Foundation (BZAF) support Australians being bullied? Oscar Yildiz JP: Bully Zero Australia Foundation provides genuine and enduring care for bullying victims and their families. They exist to identify and empower victims, to support and stand side by side with them, their families and friends in taking action and creating permanent positive behavioural changes. Bully Zero are dedicated and committed to raising awareness of bullying and its devastating consequences through schools, workplaces, sporting clubs and community groups. They aim to empower Australians and provide them with hands-on educational strategies to prevent bullying. Their team of board members, committees, ambassadors and volunteers are dedicated to the Foundations mission, working tirelessly to ensure all requests for bullying support and information are effectively delivered. Question: Can you tell us about the BZAF help line? Oscar Yildiz JP: The BZAF helpline 1800 028 559 (1800 0 BULLY) has received over 15,237 calls to date and works as a 24/7 support helpline for those who are seeking advice or support for bullying, including parents, victims, families and friends. The hotline staff are qualified to provide general information and support for callers looking to take the next steps forward. Question: What feedback have you had from the BZAF bullying prevention programs? Oscar Yildiz JP: The feedback from our programs have been positive, however, there are still a high number of parents unable to attend. The prevention programs work best when both parents and teachers attend and work to educate themselves and address bullying at all angles. The greatest result being the 93 potential lives saved as a direct result of the services BZFA provide. Question: What advice do you have for parents surrounding cyber safety? Oscar Yildiz JP: Develop your understanding and skills of bullying and social media – often there is a gap between the parent's interpretation and understanding to that of their child's. Have open-ended conversations to learn about their child's on-line life. Mentor your child about responsible social media usage and allow guided interactions and open dialogue. Practice scenarios to develop assertiveness strategies and help your child identify teachers, friends and others that could assist. Ensure your child is legally permitted to hold an account and or engage with certain social networking sites, platforms, applications and games. Ensure you and your child read the licence agreement and activate privacy settings as (default settings may not be safe). Set clear boundaries, house rules and time limits i.e. device free dinner time (phone check policy – random checks). Talk to your child, ask what platforms they're using, who their friends are and advise then to never befriend anyone online they don't know. They should add or accept user they know or have some commonality with. Develop your social media skills and join your child's preferred network or applications i.e. Facebook, Snapchat or Instagram). Understand the social media platforms they are using i.e. how to create a status, upload content, check in services and privacy (basic social networking functions) and ensure you road test websites, applications or games your child is downloading (free games include advertising and some innocent games simulate gambling and desensitise children to the gaming format). Suggest that your child makes their personal information private and not share personal information with strangers. Educate and teach your child about online safety, their responsibilities, potential risks and ask your child to stop, look and think before posting or sharing any content that could be inappropriate. Explain they must gain permission from their friends or family before posting pictures, videos or any other content that does not involve them directly. Don't be afraid to talk to your child about peer pressure and how they should not be persuaded to post inappropriate content, i.e. photos, videos or personal information. Question: What can children do if they witness bullying behaviour? Oscar Yildiz JP: Directly intervene by discouraging the bully, defend the victim or redirect the situation away from the bullying. Seek/gain help and rally support from peers to stand up against and report the bullying behaviour. Approach the victim to let them know they're aware of the behaviour and that it's not acceptable. Support the victim by displaying empathy and validation of their feelings. Be a catalyst speak up for the victim by communicating assertive messages. Inform the victim that they're not alone – in most cases, bullied individuals have overwhelming feelings of isolation, alienation or loneliness. Question: What do you hope to achieve in 2017 at BZAF? Oscar Yildiz JP: In 2017 we aim to continue the great work of BZFA in establishing a zero-tolerance culture of bullying in Australia and to get one step further towards our goal of having anti-bullying laws implemented and enforced nationally. Question: What resources are offered on the BZAF website? Oscar Yildiz JP: The aim of the BZFA website to become an invaluable resource for victims and families affected by bullying, in addition to providing a plethora of useful information for schools, employees, employers and the general public on how to respond to bullying. Links to useful helplines including the 24/ 7 anti-bullying helplines. Information on what defines bullying and the types of bullying that can occur.